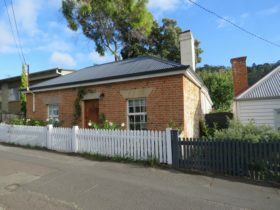 Hobart heritage accommodation at Bendalls Bed and Breakfast takes you back to the 19th century. 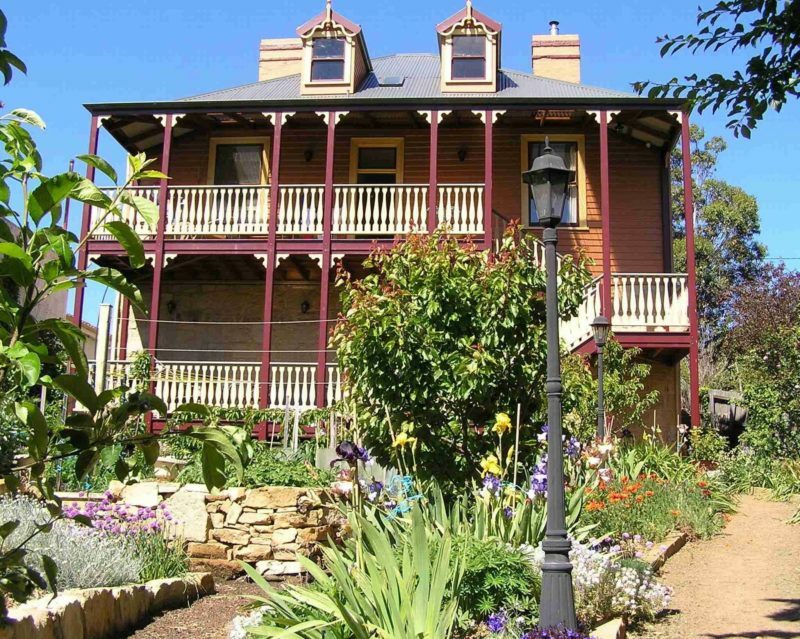 Walk in the beautiful organic garden and home orchard or relax on the upper verandah and enjoy the view of Mt. Wellington. Free WiFi is available throughout the property. Free breakfast provisions include home made jams and preserves, artisan bread, organic eggs, milk, yogurt, cereals and fruit. We happily cater for fructose, lactose and gluten free diets. 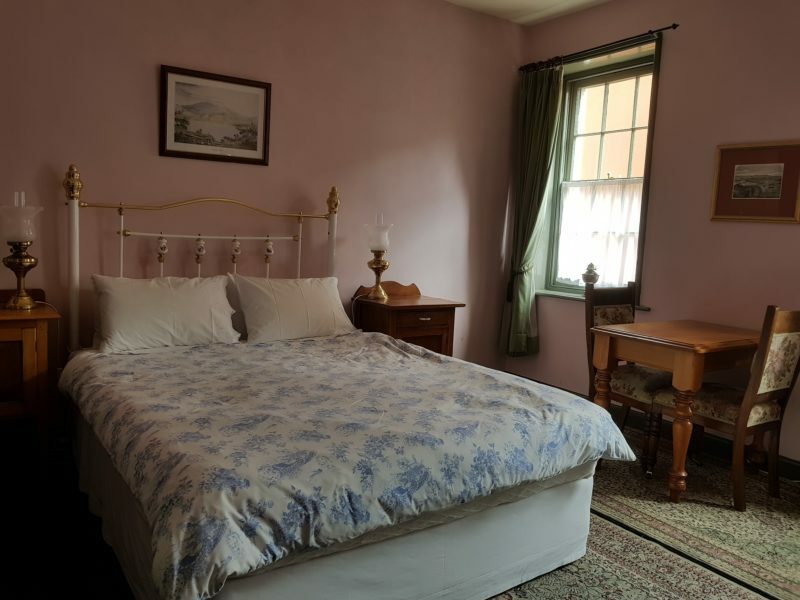 Ground floor rooms, with queen or twin beds, are furnished in simple 19th century style with wooden floors, white linen and warm comfortable beds. 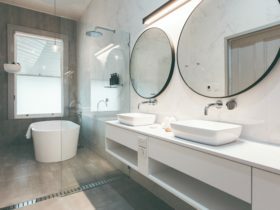 The Victorian bathroom has a claw-foot bath, and separate toilet, shared by two rooms. Rooms have a dining area, sink, crockery/cutlery, plunger coffee, leaf tea and heating with easy access to microwave, refrigerator, toaster and washing machine. 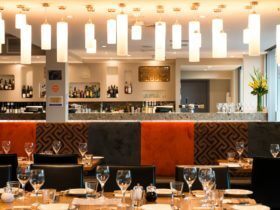 Bendalls is located in quiet leafy New Town with easy access to the city: buses every 10 minutes, MONA, airport, cafes, restaurants, supermarkets and art cinema. 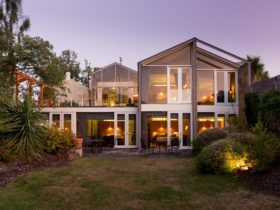 Central Hobart, Salamanca and the waterfront are a ten-minutes drive . 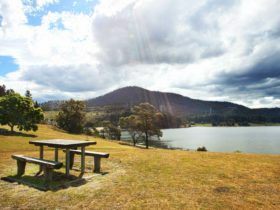 Close to main roads for day trips to many of southern Tasmania’s attractions including Port Arthur, Mt Field National Park and Bruny Island. Two comfortable single beds are draped with heritage quilts and crisp white linen, electric blanket, doona with wool or cotton blankets in the wardrobe. Heating available in every room. Timber floors are painted with black japan and finished by hand with wax. Walls are painted with a traditional non allergenic distemper giving them a soft velvet finish. Joinery colours are those used in the house around the 1880s. Enjoy a superbly comfortable queen size bed draped in crisp white heritage linen with a doona, electric blanket and wool or cotton blankets stored in the antique wardrobe. 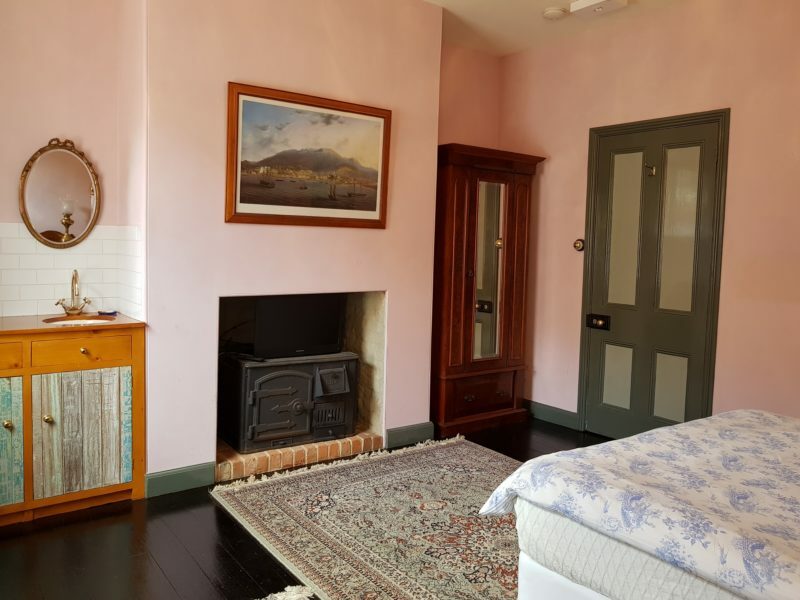 The walls of this room have been painted with a traditionally made non allergenic milk distemper. Timber floors are finished with black japan, french-polish and wax. Joinery colours are those used in the house around the 1880s.